Identity theft is a crime that has a substantial impact on the victim. If you experience identity theft, the consequences can have rippling effects that may follow you for the rest of your life. Awareness of the crime and knowing how to react will help you protect yourself against the repercussions of identity theft. According to Experian, your credit history dictates your ability to qualify for loans. Essentially, it works as a report card for your financial responsibility, and lenders look at it to decide whether you are a risky borrower. If you have a high score, not only will you qualify for mortgages, lines of credit and other loans, but you will also likely have a low interest rate, which will save you a great deal of money over the life of the loan. When a credit score is low, a consumer may face rejection and impossibly high interest rates that can burden personal finances. Excellent credit usually sits at or above 720, while a score below 620 is a red flag for lenders. About 35 percent of a credit score is based on whether you pay your bills on time. Another 35 percent is determined by the balance-to-limit ratio on your credit card bills or loans. Only 15 percent of the score accounts for the age of the credit history, and mixed credit make up 10 percent of the final score. Another 10 percent accounts for the number of inquiries from creditors. So each time you attempt to open a new line of credit, your credit score is impacted. When you fall victim to identity theft, your credit score also falls. Typically, a criminal will open accounts, apply for new loans or lines of credit under the name of their victims, and then not pay the bills. When this happens, credit scores plummet. Credit inquiries also impact your score and bring it down by a few points each time a lender checks your credit report. In addition, Good Financial Cents noted criminals might open a wireless plan or pay for a home utility bill with your personal information but without paying the bills. Unfortunately, this will lead to negative items appearing on your credit report. Your information may wind up being turned over to collections due to the unpaid debt accrued by a criminal who stole your identity. When you realize you are a victim to this crime, the key is to react swiftly to minimize the damage. Ensure that you notify police of this crime and file a report right away. This is a serious crime and when disputing various negative items on your credit report, a police report will be critical in building a case to present to creditors and the credit bureaus. Keep an eye on your credit score regularly. If you notice a significant drop, it may be due to identity theft. The Consumer Finance Protection Bureau also noted you should contact the credit bureau as soon as you notice inaccurate information present on your report. You will also want to contact and cancel all credit accounts that have been compromised by thieves. Whatever you do following identity theft, make sure you document each step you’ve taken to present to the creditors and credit bureaus and continue down a more prosperous financial future. One of the best ways to eliminate your risk of identity theft harming your credit score is to become aware of this type of crime. Knowing the serious side effects of identity theft and how it can impact your life will encourage you to prevent it. 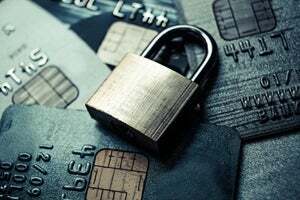 Lexington Law Firm provided some simple tips for preventing identity theft, such as not carrying around a Social Security card or passport, and not revealing a PIN or other personal information. Even your birthday can be used against you. Whenever you receive mail, always shred the documents so your information cannot be compromised. Criminals can easily gather mail and use the information to open new lines of credit that may damage your credit score. If you do not already own a paper shredder, consider investing in one. Monitoring your credit score regularly is another way to protect yourself against this crime. If you notice any suspicious activity, react quickly. The faster you do this, the less identity theft can impact your financial situation and credit score. This entry was posted in Finance and tagged Credit Score, finance, Identity Theft. Bookmark the permalink.